This year the Center for Economic Development and Business Research has added five new economic outlook conference locations: Pittsburg, Great Bend, Emporia, Hays, and Dodge City. The goal of the conferences are to provide insights into the current local and state economies by addressing topics of interest to the community, region and state. Focus on key industries in the area by industry experts, an analysis of the economy as a whole, as well as a local forecast for the coming year, are designed to provide information to help local business leaders develop business strategies and avoid potential pitfalls. Click on a city closest to you to find out how you can attend. 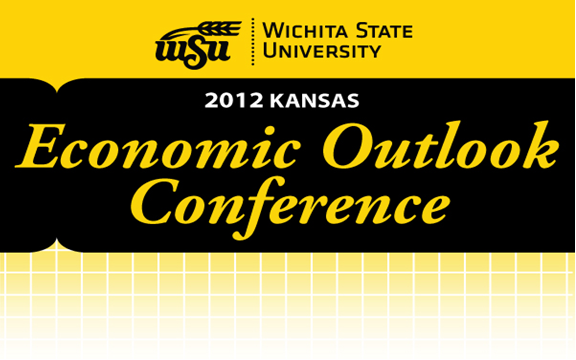 If you are interested in sponsoring the Economic Outlook Conference, email Jeremy Hill at Jeremy.Hill@wichita.edu.